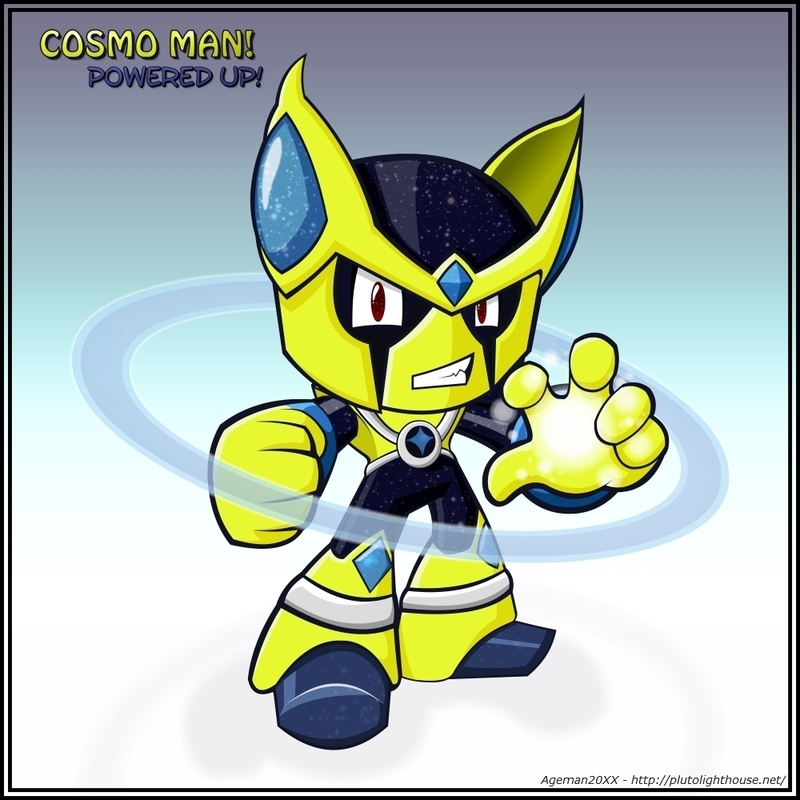 Title : CosmoMan : Powered Up! This is another character I converted from Battle Network over to classic Powered Up form for use in my MegaMan Powered Up TCG. CosmoMan, in short, turned out amazingly. He's based on the evil Net Navi in MegaMan Battle Network "CosmoMan.EXE". I really don't know what to say as I think he turned out so well. The lines are tight, the colours are vibrant, and the cuteness is overwhelming. 2009/02/01 : I've decided to start refining some of my older Powered Ups - giving them backgrounds, adjusting shading/colour, redoing certain lineart, etc. CosmoMan was one of them. While nothing dramatic has changed from his original version, I did try to make the star-backgrounds more pronounced in his orb-like-areas as well as a neat little light-effect in his hand. Oh, and his eyes got more awesome.